Make every meeting count and reduce operational costs for everything from sales and product development to doctor-patient consultations and teacher-student sessions. Our goal is to help you unleash the power of collaboration by providing a superior user experience, technology that’s easily integrated into your business and the flexibility you need. We are obsessed with creating a simple, superior user experience across every solution and ensuring a consistent and seamless experience for every worker in your organisation whether they’re on the go, working at home or in the office. We put the user at the centre of everything we do. Polycom’s 415,000 customers can choose how, when and where they collaborate. Choose your own path, whether on-site, in the cloud or a hybrid; hardware, software, services or a combination; with financing or subscription flexibility. Choice comes in many forms, and we cover them all. Personal/group USB PC speakerphone delivers rich, full-duplex audio and simple connection to multiple devices. The CHAT 150 connects to PCs for rich, full-duplex audio communications, and bridges the gap between portability and small conference room use with a larger form factor. The CHAT 150 can be used with many applications requiring two-way audio (VoIP softphones, web collaboration applications, instant messaging), connected with enterprise phone systems (ad-hoc bridging capabilities allow a USB/analog mix) or simply used as a large loudspeaker for audio playback. Three built-in microphones provide full 360-degree pickup with ClearOne’s powerful, legacy audio processing. 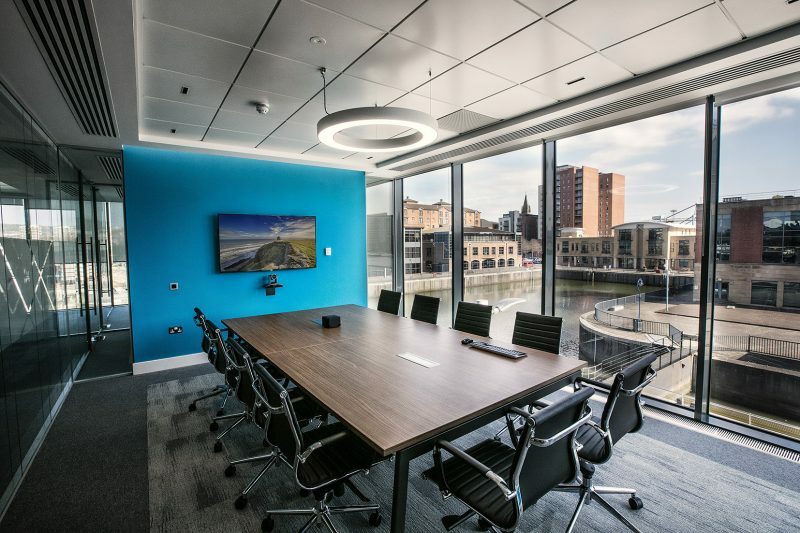 The sleek design fits perfectly into the office or conference room for more natural, collaborative conversations. Breakout box options provide multiple connectivity options with enterprise telephone handsets, PCs and videoconferencing systems. 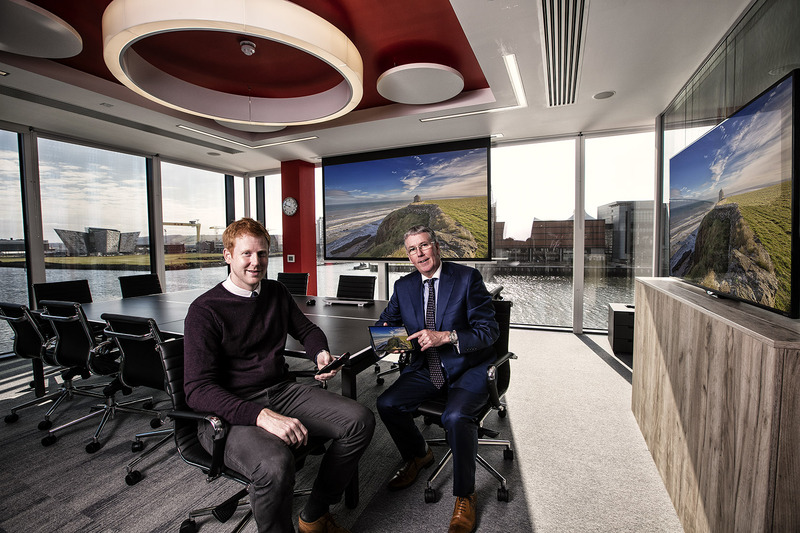 Cayan, an American tech company, employed the services of Niavac to design, coordinate and install bespoke corporate AV solutions and state-of-the-art technology within its new sci-fi headquarters located in the Belfast City Quays 1 development.